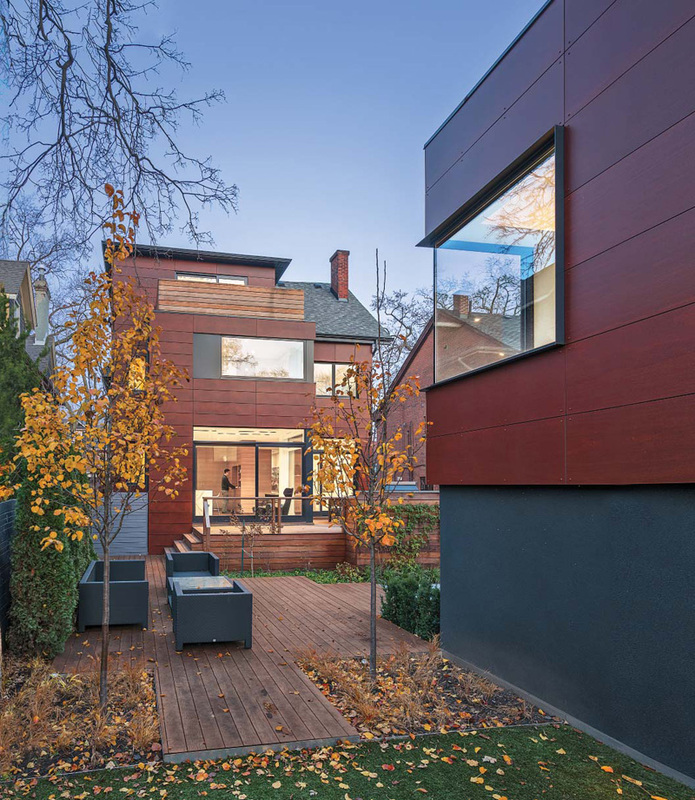 Dubbeldam Architecture have designed the renovation of a house for a young couple in Toronto, Canada. The backyard of the house has a multi-level wood deck. 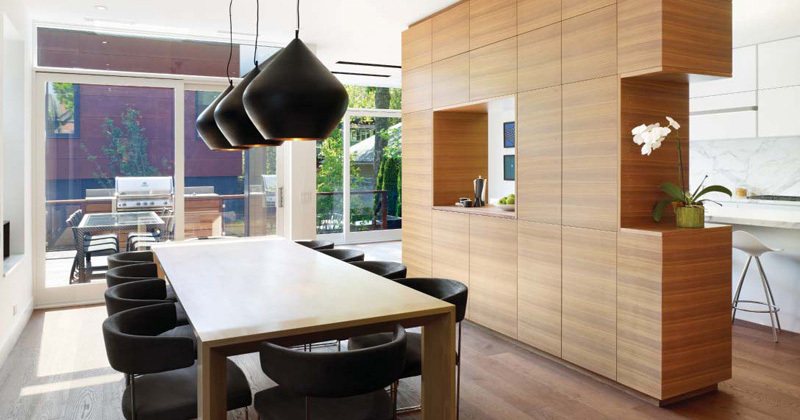 Within the home, a whitened oak wood screen with clear and translucent panes, defines the vestibule or small foyer. 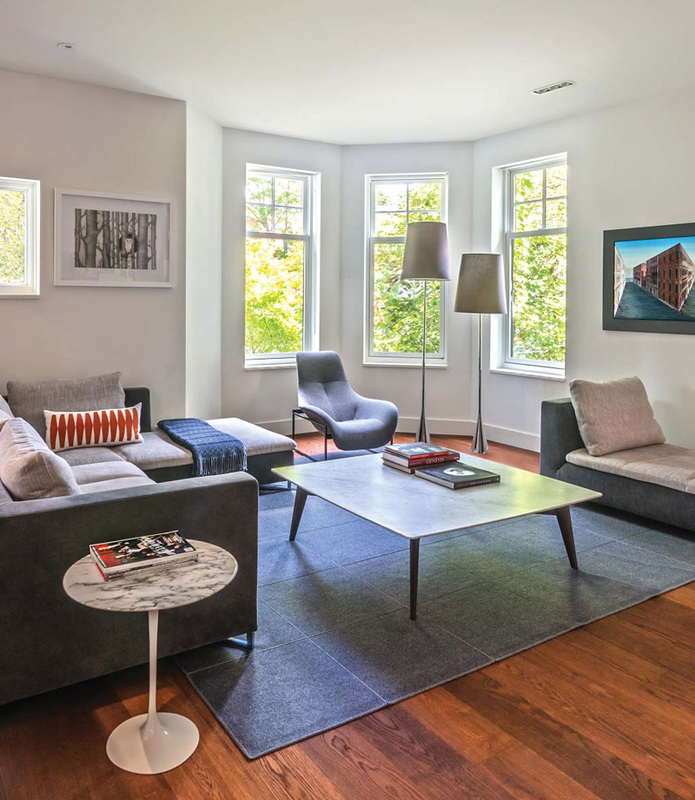 The focal point of the living room is the horizontal fireplace and custom mantel above, which allows the owners to display their treasured photos and artifacts. A small alcove with three windows, allows plenty of light into the living room. Built-in seating next to the dining area is useful when large groups are visiting. 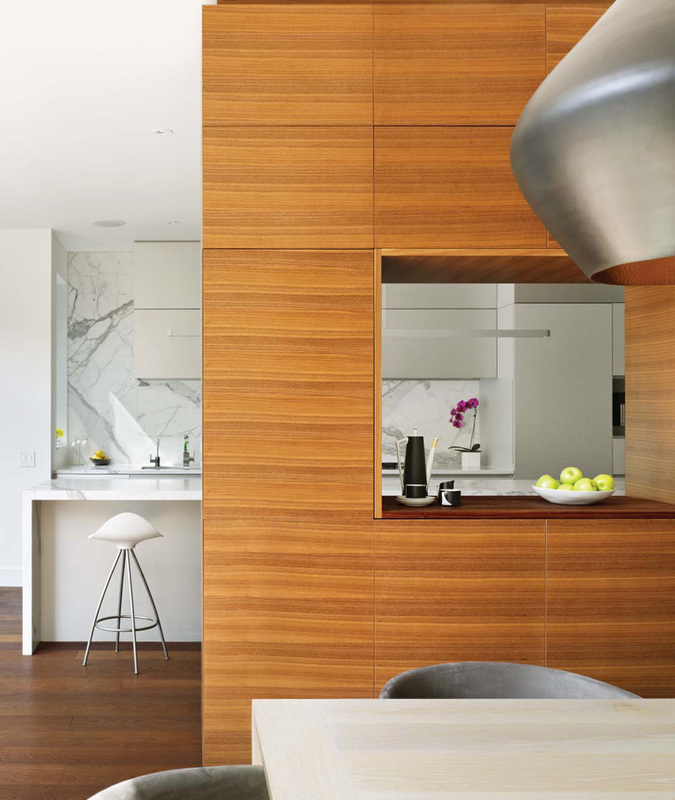 A central walnut-clad half-wall, both separates and connects the cooking and eating spaces, with an opening used for display and a bar counter. 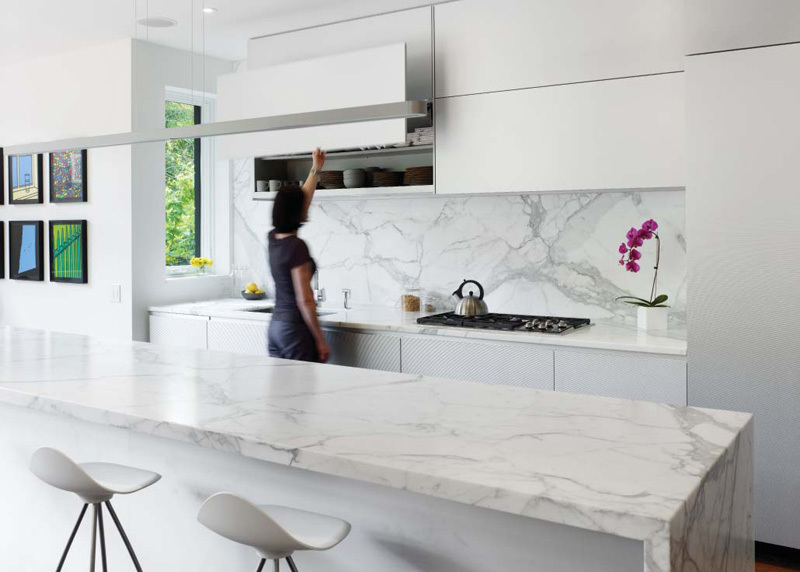 In the kitchen, a statuario marble island and backsplash provide a richness to the sleek aluminum cabinets. 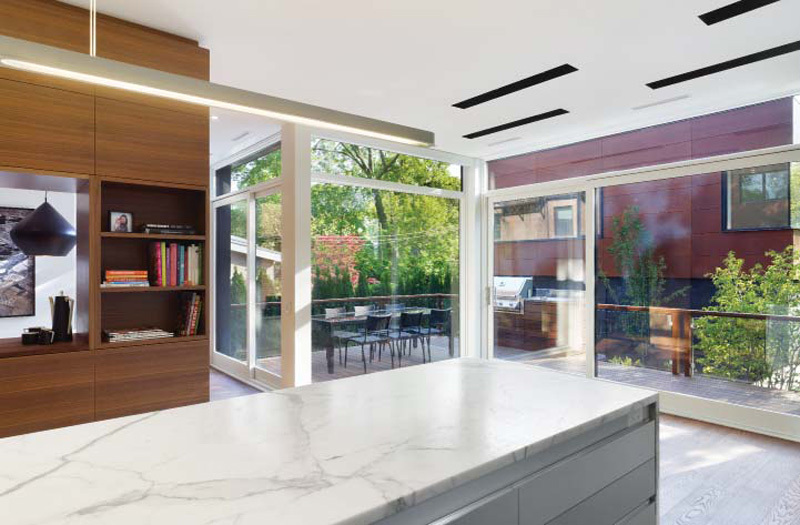 The large doors and windows enable a natural flow of movement and line of sight from inside to out, great for backyard entertaining and carefree monitoring of children. 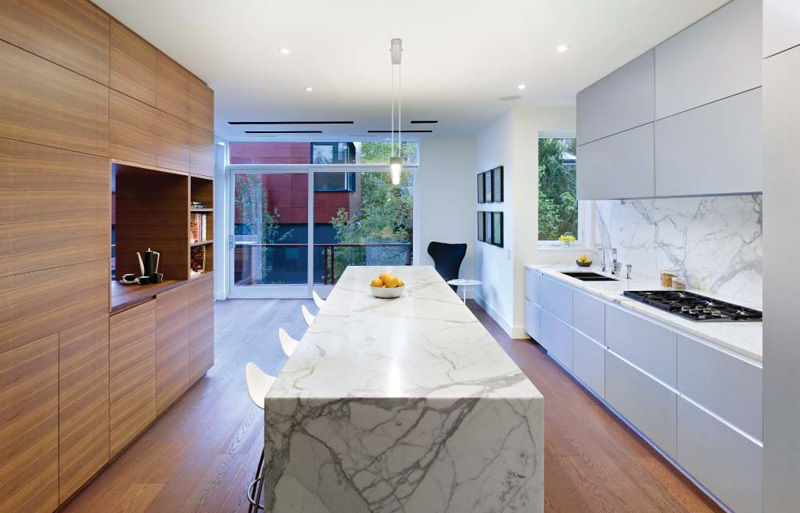 A monumental 13 foot long island is the centerpiece of the kitchen. 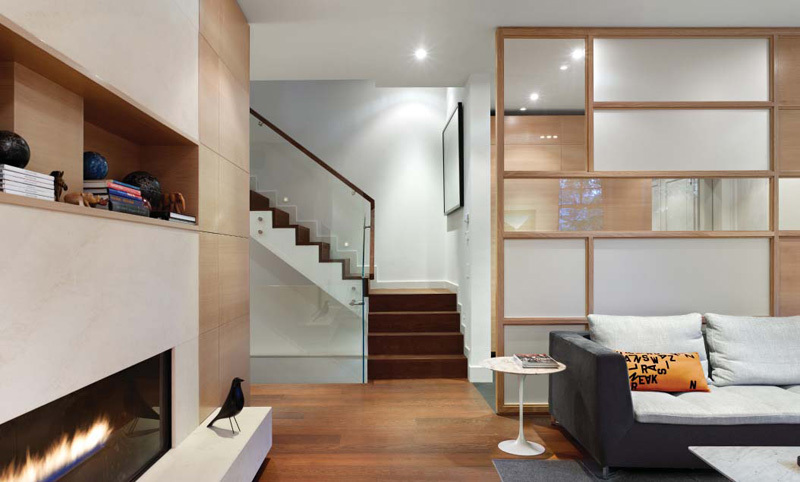 A staircase with glass and wood railings, leads you to the various floors of the home. 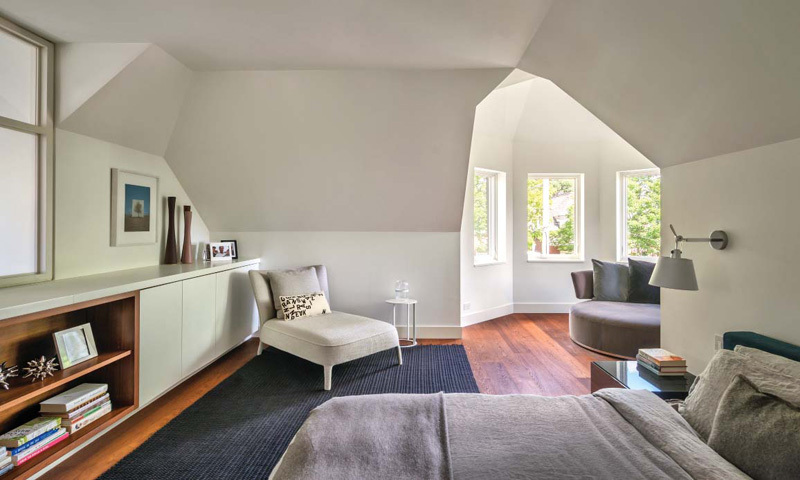 The master bedroom contains a sunlit seating area built into the house’s existing turret, where windows on all sides provide views of the surrounding neighborhood from the third floor. 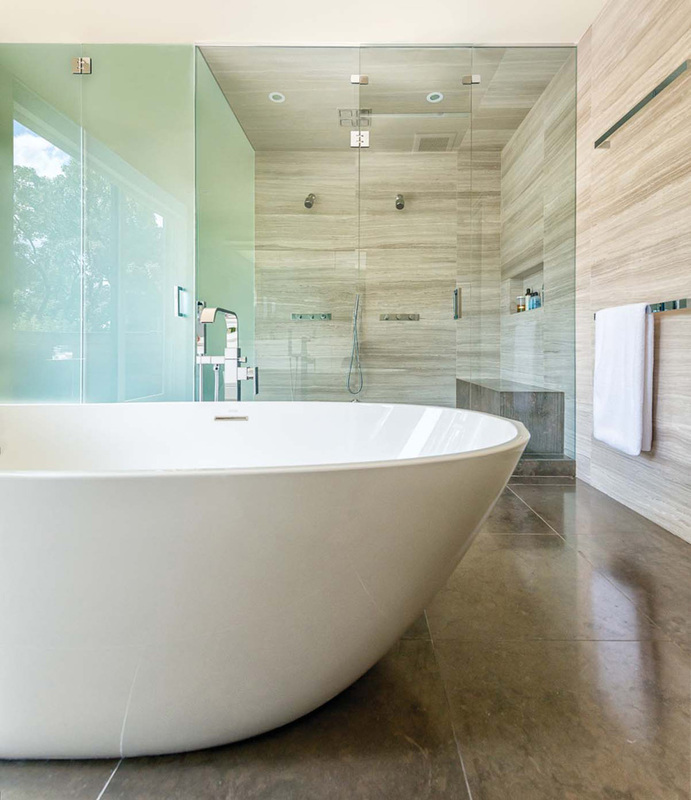 The ensuite bathroom on the third floor, has a freestanding oval-shaped bathtub, providing a strong focal point in the room. 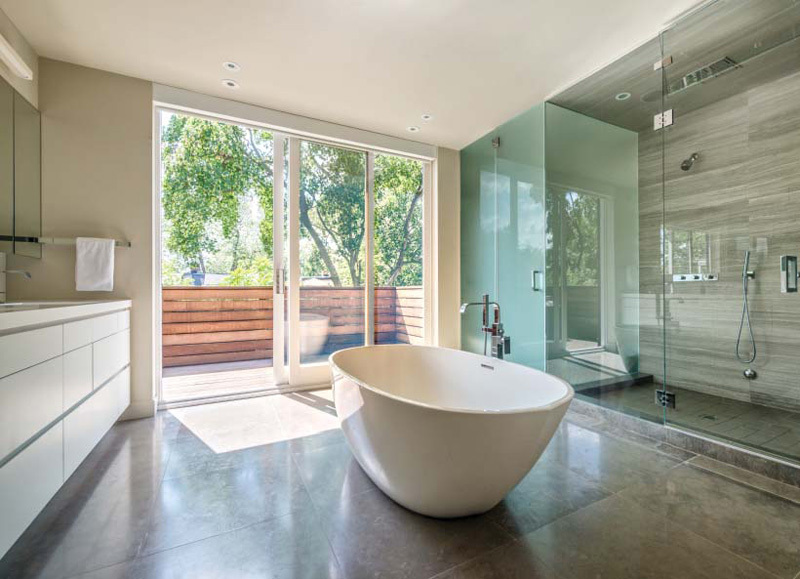 The bathroom also features full height doors opening to a sun deck floating in the tree tops. 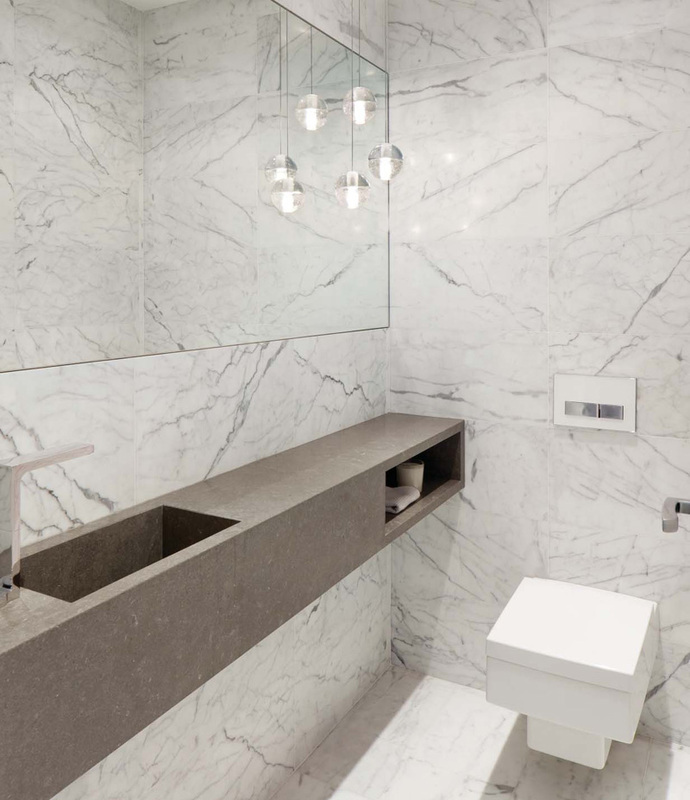 There’s also an additional bathroom in the home, that features a floating vanity.